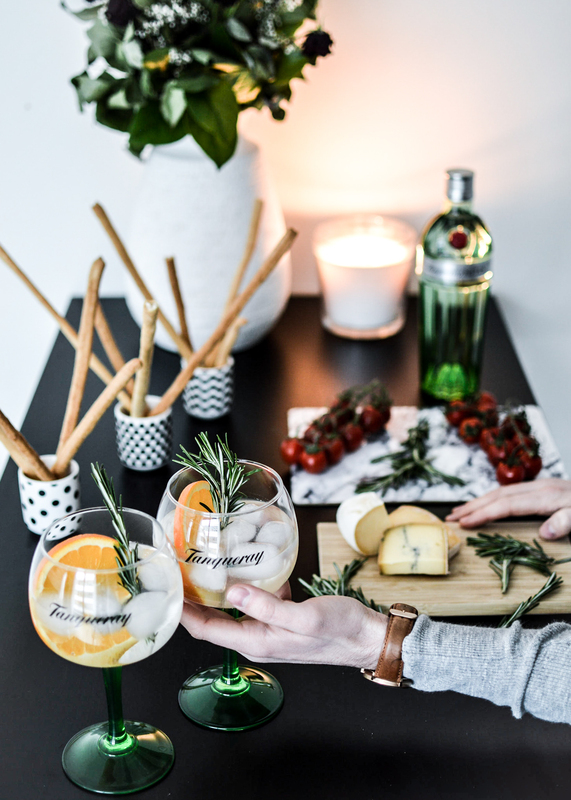 Tanqueray’s latest campaign was centred on the creation of engaging and inspiring content that fuels the versatility of our beloved G&T. The collaboration itself spoke of concocting a classic image with a contemporary vibe. In essence, through a cultivation of liberating and vibrant pieces, an atmosphere of possibility and travel that drives the Millennial audience was addressed. The heart of the brief was composed around targeting experiences over any material or particular source of identity. Successful influencers transcend this message - they allow us to get momentarily lost in their content, providing not only relief from day-to-day, but also inspiration. Within an empowering element of marketing, the forward thinking and passionate direction of Tanqueray’s image resonated through the campaign. As the content grew, so did the quality. 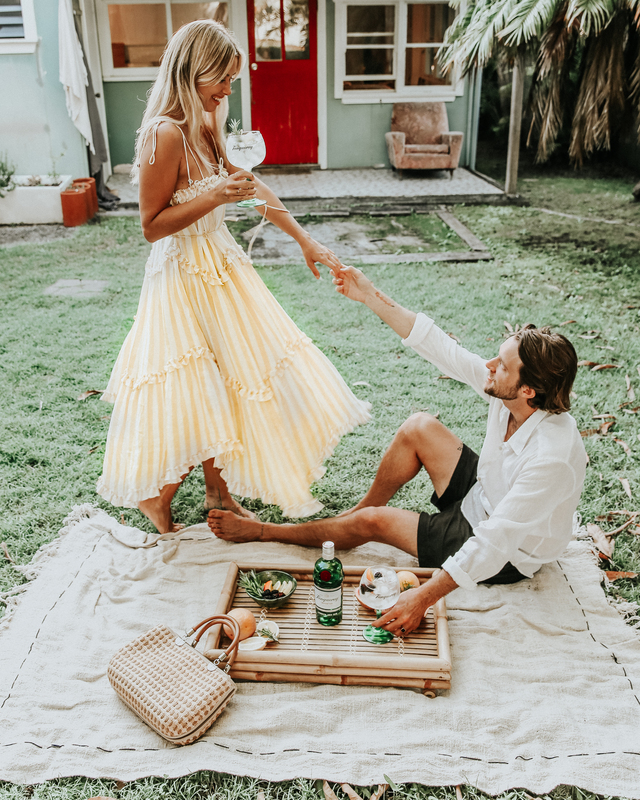 Although product placement and branding remained a vital ingredient for each post, perhaps more so was each content creator portraying an effortlessly fun, free-flowing lifestyle. Capturing an organic moment is vital for any influencer, as demonstrated by @sliceofmatt, who expressed genuine enthusiasm behind his content. We approached Matt and he was delighted to share his thoughts on what made this campaign special, including refining that ‘perfect’ moment when creating a beautiful piece of content. I really liked the aesthetic of your content, and how you managed to distil a particularly authentic moment within the campaign. Can you tell us a bit about the inspiration behind the shoot? I find that the best brands to work with are ones that you have enjoyed long before they have approached you to work on a campaign, as it is very easy to then authentically endorse their product and it makes your job a lot easier when it comes to creating content! 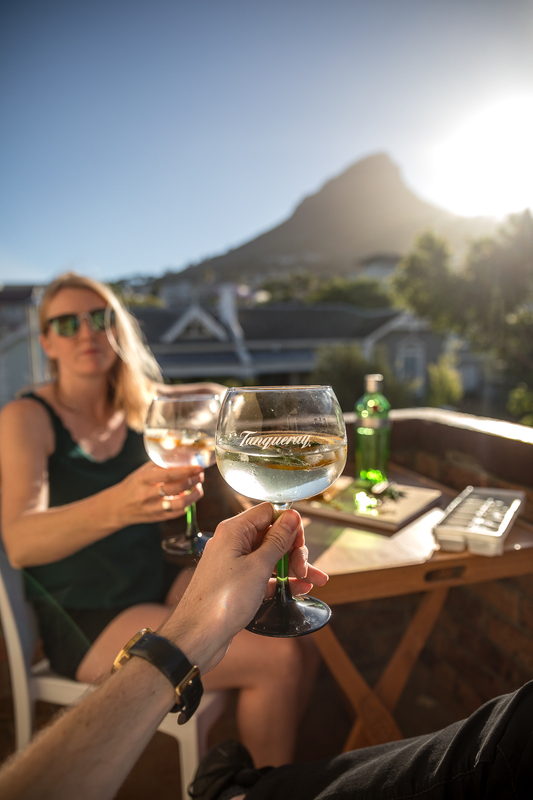 In South Africa every sunset can be improved with a gin and tonic, and when I was approached by Tanqueray I could immediately picture what I wanted to capture. My sister and I had shared a flat for a year (in a beautiful location, in Cape Town) and the campaign came just before we had to move, and I wanted to capture at least one sunset on the balcony with us having a G&T before we moved out. Obviously not every photo is perfect for the brand, but in the process of trying to get that "perfect" branded shot we had a lot of fun and just enjoyed the moment and I think that comes across in the final image that we chose. What were your thoughts when you were approached by Tanqueray? To be honest I was quite excited. It's a premium brand that I was already a fan of and more than happy to endorse so I felt like it was a great match! What would you say is the most important ingredient, besides the gin, in a G & T? That's a tough one because besides the gin and besides the tonic (it ALWAYS needs to be good quality tonic) it really depends on my mood! I would have to go with ice. I will happily still enjoy a G&T without garnish but I can't enjoy it warm. …I think we can all relate, cheers Matt! A key message of this campaign, and life, is that a Tanqueray and Tonic is the perfect facilitator for good times. Moreover, content such as @lisadanielle__’s showcases and develops this element of Tanqueray’s campaign. Within her content, the desire to capture genuine experiences within a coherent aesthetic shines through. Upon reaching out to Lisa, she was delighted to share her thoughts regarding her crisp image, as well as providing some insight into the values behind her content. We fell in love with the beautiful simplicity of the content you produced for this campaign. What would you say is the key component for creating that authentic look while endorsing a product? I think capturing an image in a space we would normally find ourselves, in this case, my backyard, really goes a long way. Your piece really seemed to really drawn inspiration from the important people that surround you. How essential is this when creating consistently versatile, yet beautiful content? It's important to show your true authentic life and the people you spend time with as the people who follow you want to know the real you. If you could only have one last Tanqueray and Tonic, what would be the crucial ingredient to make it unforgettable? You really can't go past freshly squeezed lime. By promoting a lifestyle image, variety of content is crucial to this collaboration. Influencers such as @remy.london.barista are able to call upon their skills in mixology to add a professional tone to the campaign. Inspiring us to spice up our extensive Gin needs, Remy draws upon the importance of the #ItsWhatYouPutIn element of the collaboration. Combined with portraying a beautifully clean, authentic table setting, his feed of the ‘Belgium Barista champion 2018’ evokes a consistently graceful aesthetic, within the use of rich and comforting tones. He was more than happy to give us his thoughts on Tanqueray’s latest campaign, while dishing out some valuable advice on what makes for the perfect #T&T..
We love the style behind your content. When creating an authentic table pic, what are the key ingredients to portraying fresh and beautiful content? I love to buy new food and new objects for each new campaigns, so I can make it more personal and really make the picture that I have in mind. Gin and Tonic, as your content demonstrates, is such a versatile drink; what advice would you give to someone who is trying to spice up up their Tanqueray and Tonic experience? Just don't stick to a classic lemon or lime as a garnish, try something different with spices, fruits or bitters. I like to infuse the gin as well, to make it even more special! What is it like working with Tanqueray? I used to work as a bartender, so when I have the opportunity to work with such a major brand, I just take pride and enjoy the whole process from thinking of an idea to taking the picture and then waiting for the feedback from the brand. We’re in love with the variety and quality of content that has been conceived out of this campaign… and a little thirsty. I love seeing one of our favourite drinks in such a variety of setting and appearance. Yet, it’s not only what you put in it - just as important is what and who you surround yourself with when curating that perfect #TandT. In other words, the power of this campaign rests in the realisation that Tanqueray is much more than a drink, it can be a symbol of a perfect moment that is entirely your own to share. What is your favourite addition to a Tanqueray and Tonic? 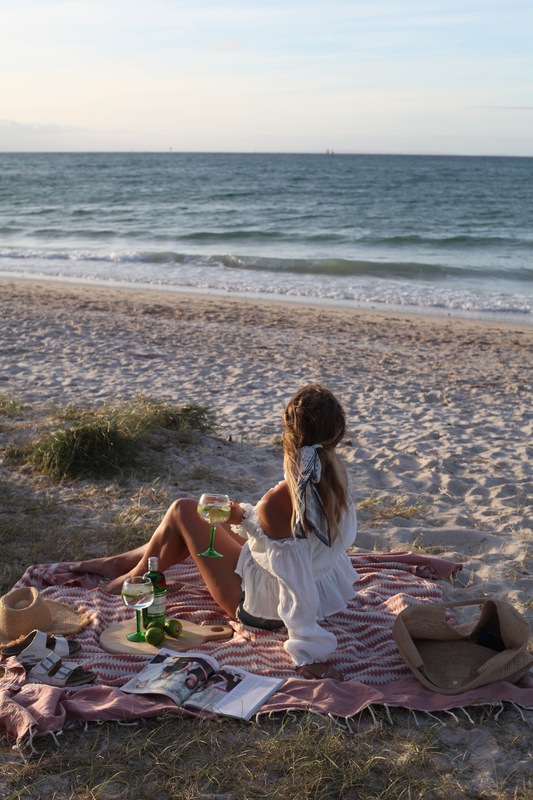 And who is your favourite person to enjoy a perfect G&T with? Let us know in the comment section below or via our socials.